In case you did not know, Converse the show company better known for its basket ball shoes also makes watches. Bought this watch from TK Maxx today. It is the Converse Scoreboard watch. 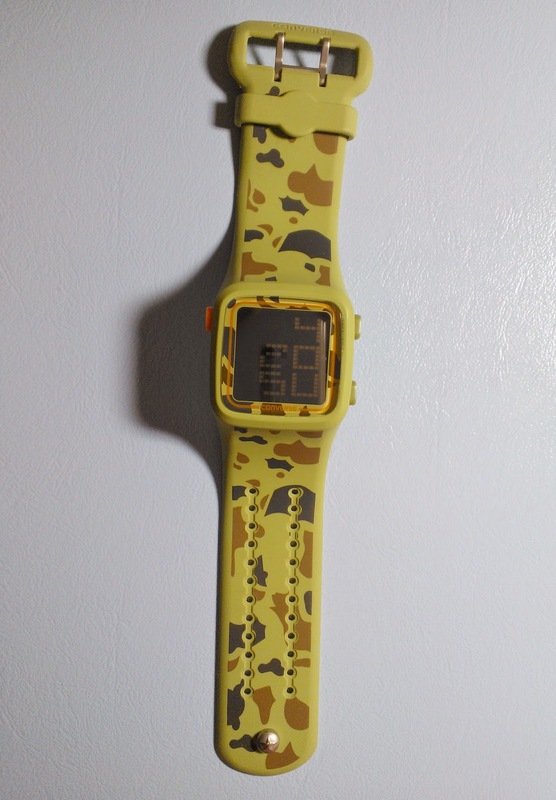 They come in a variety of colours but it is the first time I have seen one with a camouflage design and I was pleasantly surprised when I saw the price which was well below its retail price of £65. So I just grabbed the watch. It has a rectangular black LCD screen which is around 43 mm across and about 12 mm thick. The strap is made of silicone and really comfortable. The watch is water resistant to 50m. The watch is powered by a Japanese quartz movement and is made in China. It has a chronograph and you can set two different time zones - I have set mine to GMT and Malaysian time. As for the negatives, the chronograph only times for 30 minutes and the light only lasts for about 3 seconds once you press the light button but looking at the bright side, I guess that it will not drain the battery much. 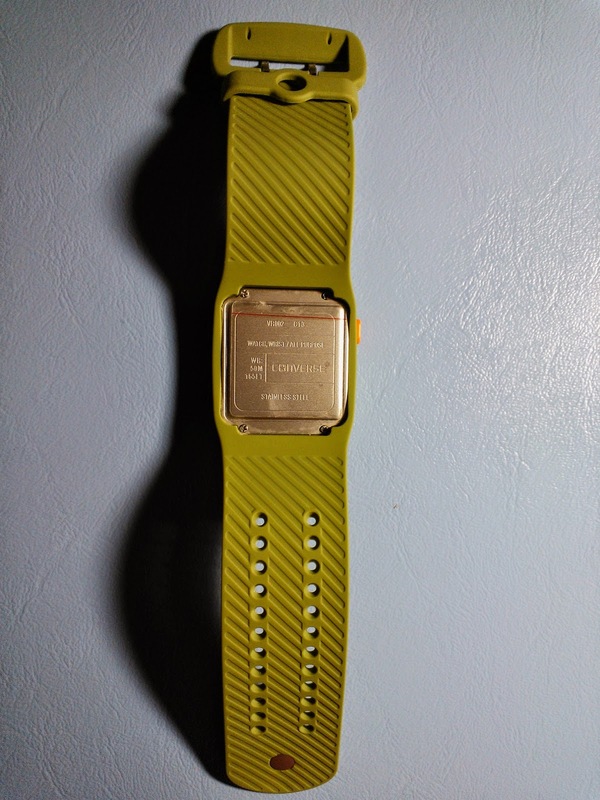 I had a similar Nike watch some time back which lasted for slightly more than a year before the battery ran out. I would be happy if this watch last for around a year. 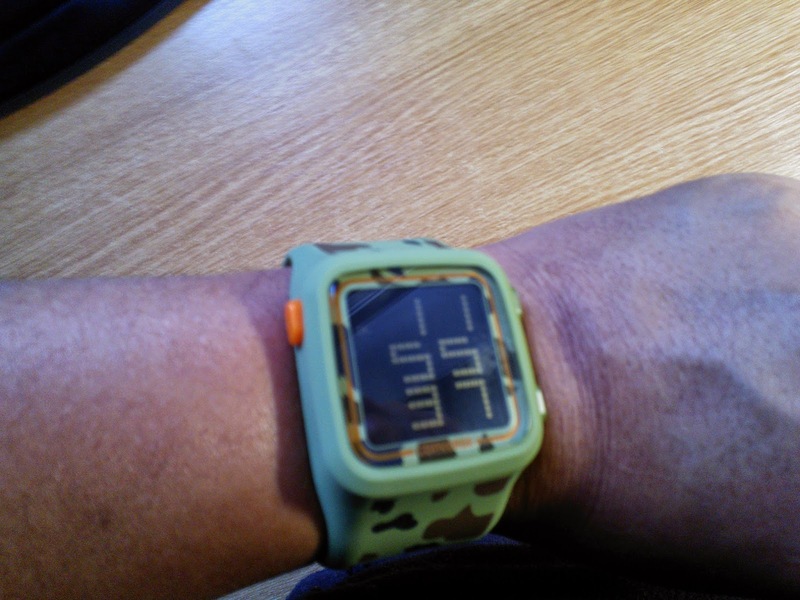 I have had this watch for a while now. It does stand out and I have had a few people curious about the brand and compliment me on the design. However, I noticed a few design issues. The mode button (right bottom) is quite sensitive and I often find that the display has changed to the chronograph or to the other time and have to change it back.